I love the details and fit of this piece. A great waistline and long legs pair perfectly with scrappy heels. Looking for something a bit more casual? Old Navy is your spot. I'd add a long necklace and walk out the door. 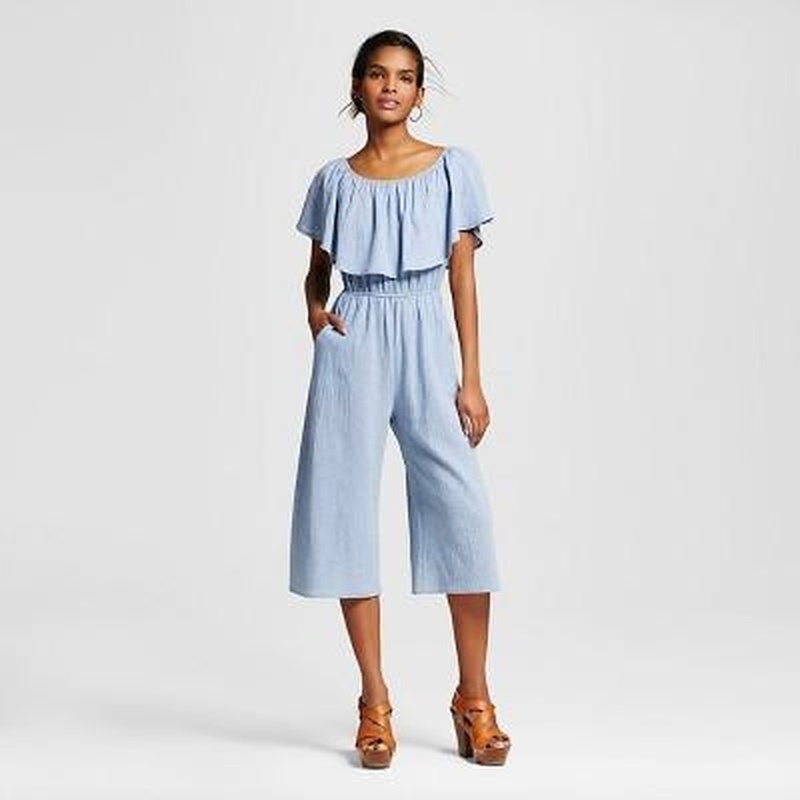 Light chambray and you can pull the neckline down for the off the shoulder look. On a scale of 1-10 if your office is eight or higher you can totally add a blazer and rock this to work. 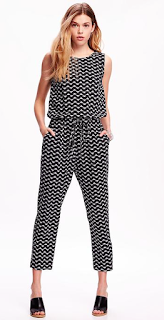 Wearing a jumpsuit is a fantastic excuse to be be super comfortable and still make a statement with a one piece. You can find them for under $20 over break the bank. Just have fun with it.